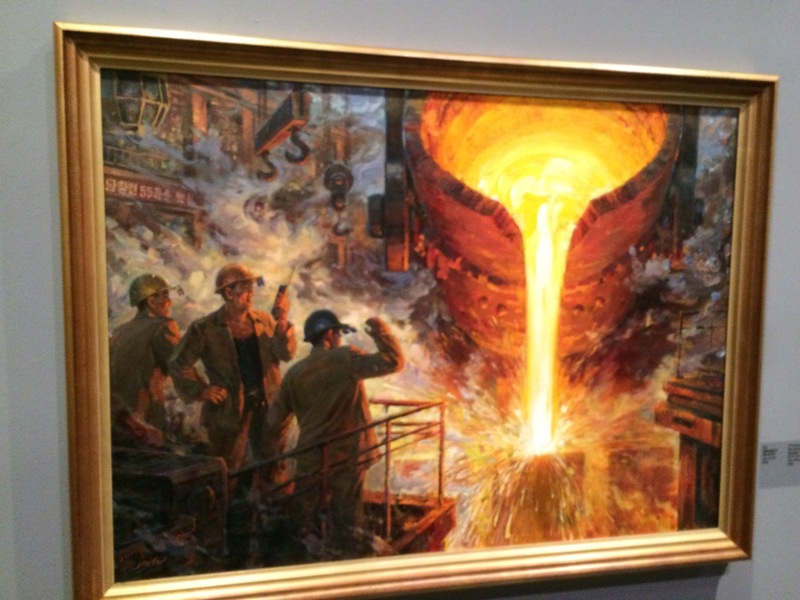 North Korean oil painting needs to be understood in relation to Chosonhwa and the ideological changes and ideas that drive North Korean society. 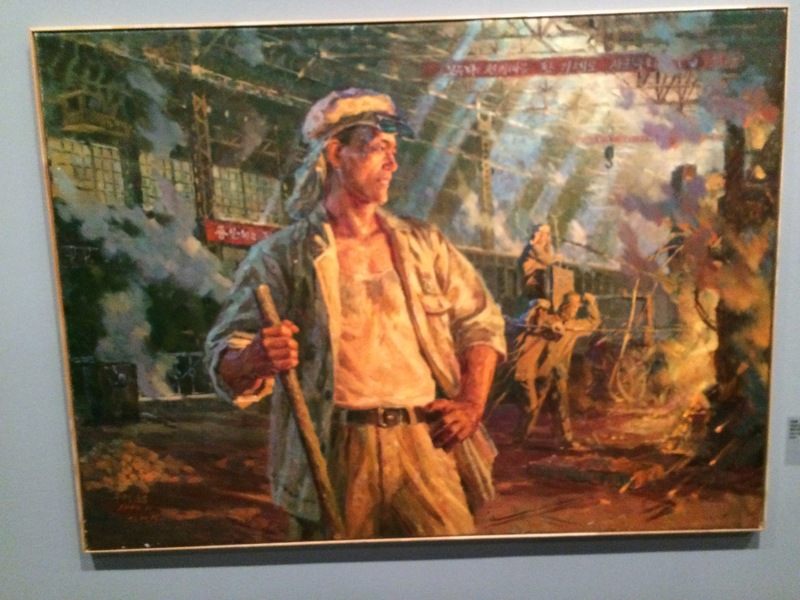 There were developments of Socialist Realist oil painting in the 1950s in North Korea and the influence of the Soviet Union. 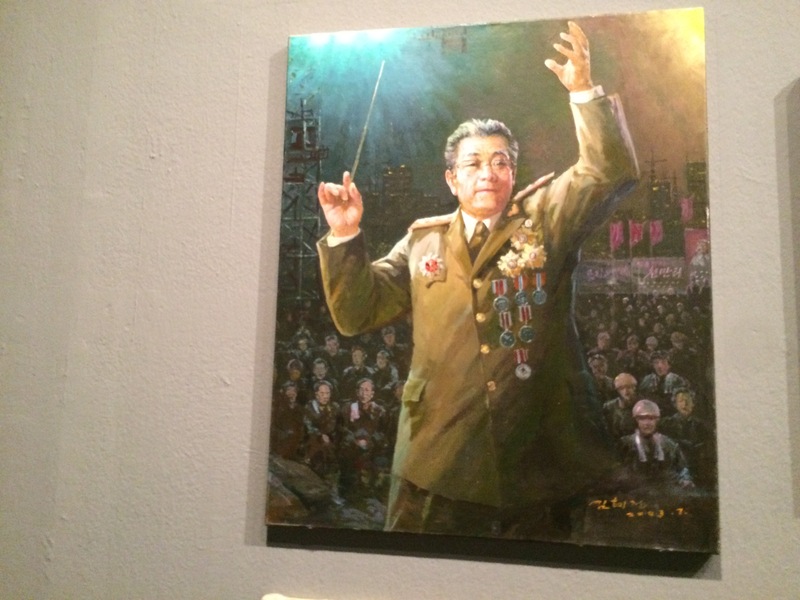 However, North Korean artists have attempted to fulfill the increasing demands for “their own style”, which more and more aligned with Juche ideology in “developing an art that corresponds to ethnic sensibility and sentiments. 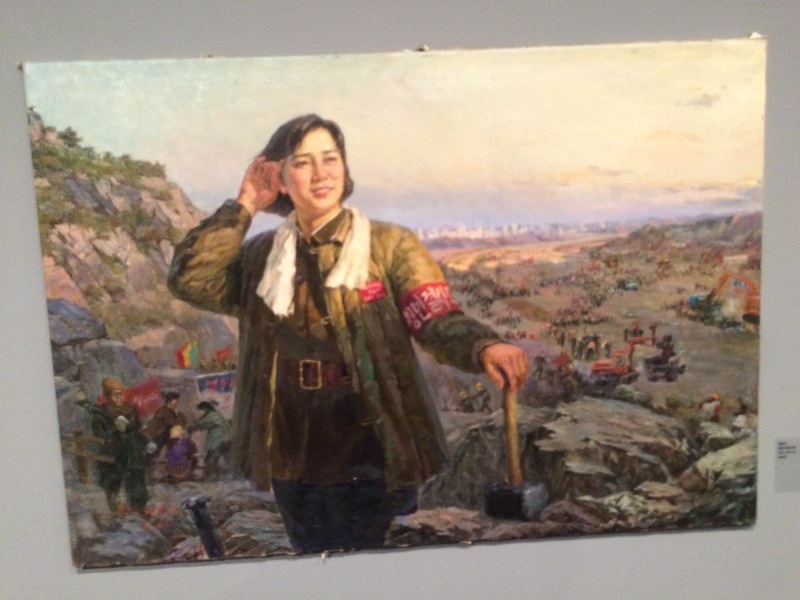 As an artist as a member of society and nation, materializing the monolithic ideological system formulated by Kim Il-sung and the Socialist ideological system of North Korea is a social duty and direction. 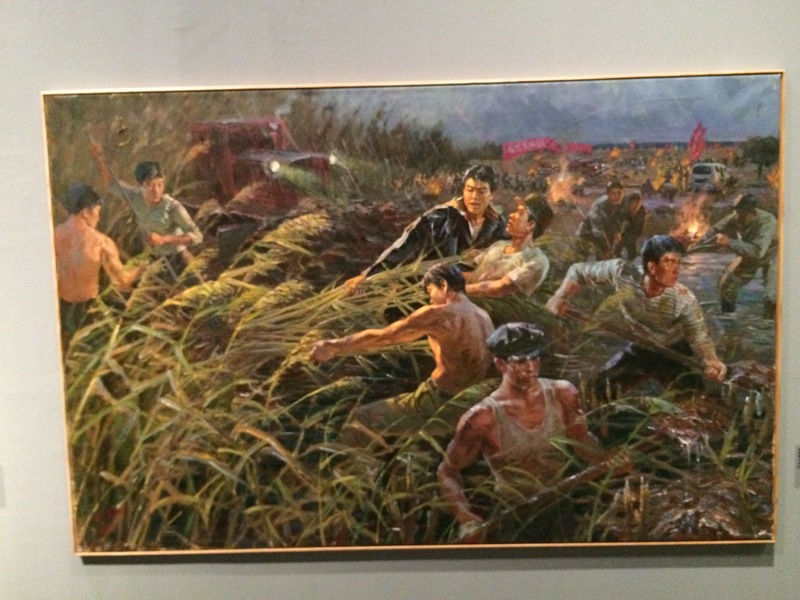 The Ronald de Groen collection possesses artworks produced by North Korean art studios, including central and regional art studios such as the Mansudae Art Studio, Hanhung Art Studio, and Sinuiju Art Studio. Through the collection, we can see their considerable efforts to convey the political messages more subtly through this language of art. 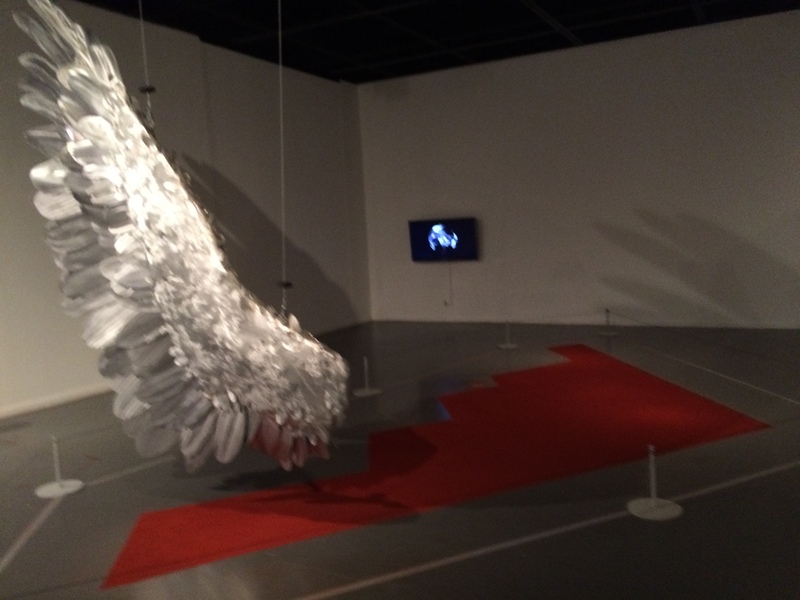 Lee Yongbaek (South Korea) in his new work “Always have Full of Hope to Us” combines bird’s feathers abd the shadow of the B-2 stealth bomber composed with powdered soil. Also, “How Earth Rotates” is a video in which the artist is shooting a globe with his own gun. In the video, the breaking globe and a chat in this artist’s studio impart a strange tension. (South Korea) The Korean title, Beautiful Land of Korea, “Geumssuganangsan” literally means “beautiful rivers and mountains like silk embroidery”, and represents the beautiful land of Korea. In nature there is no division between North and South. From 2005, Wang Guofeng started photographing the Socialist buildings of China and the former Soviet Union. He depicts the buildings of the former Socialist Countries, Poland, East Germany, the Czech Republic, Romania, North Korea, Cuba and Vietnam, in large format photographs up to 24 meters wide. The Socialist buildings, which are historical monuments and show human’s aspirations for utopia, are an important subject matter to the artist. 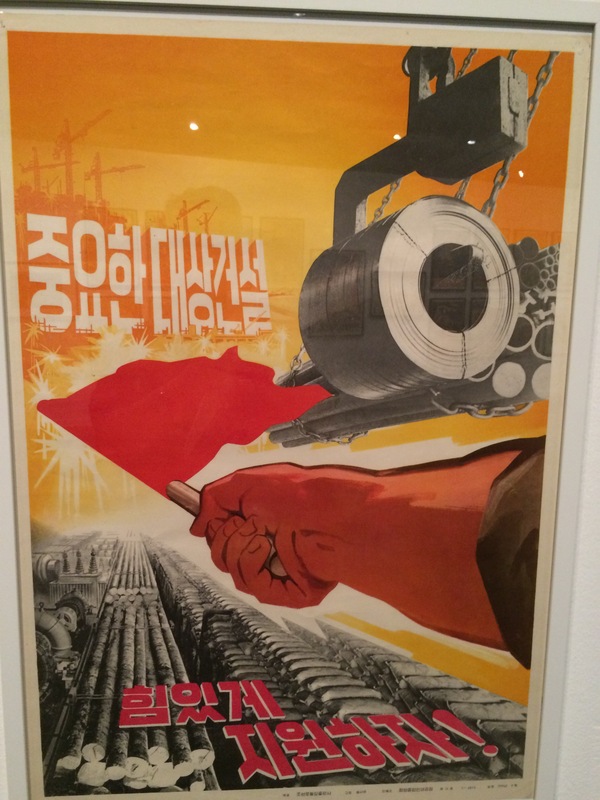 Particularly, North Korea has an important position as one of few remaining Socialist countries. 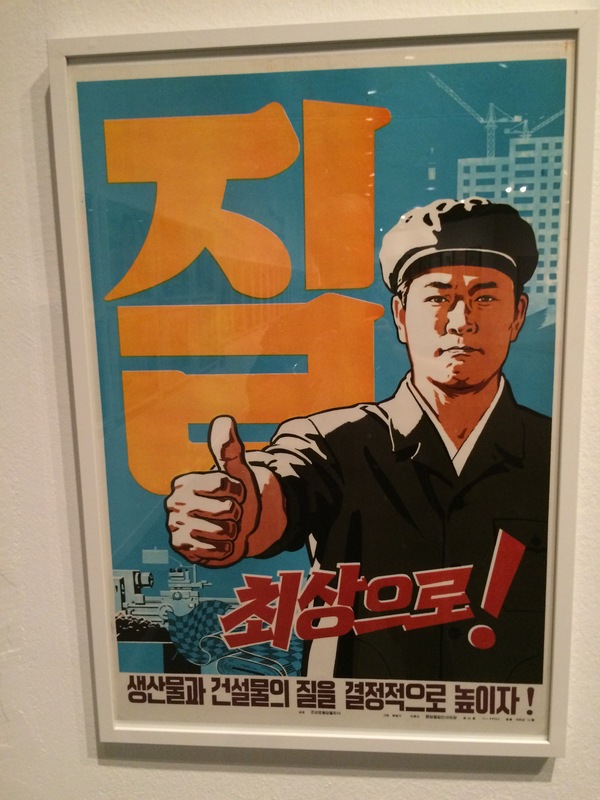 Wang is the only foreign photographer licensed by NK authority and visited NK four times since 2011. 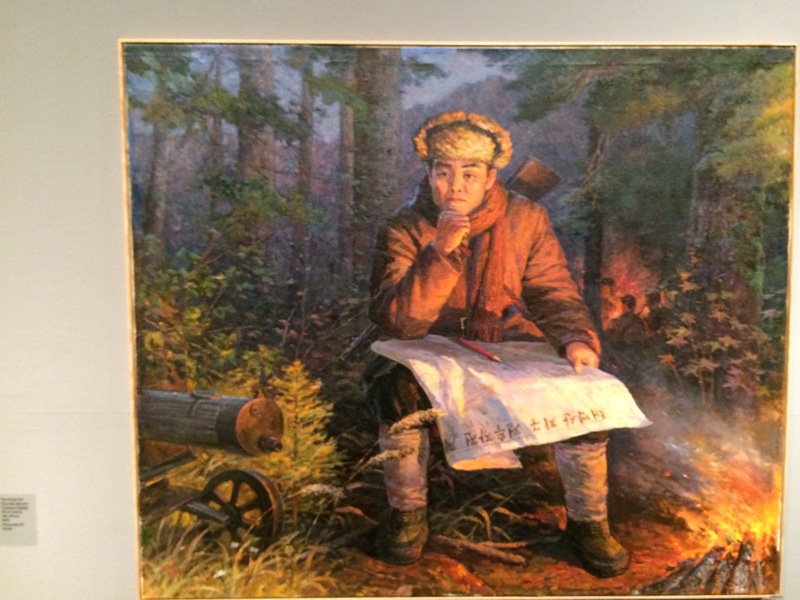 Wang Guofeng’s North Korea series started with buildings and now it expands to portrait photography that shows members of the Socialist country. 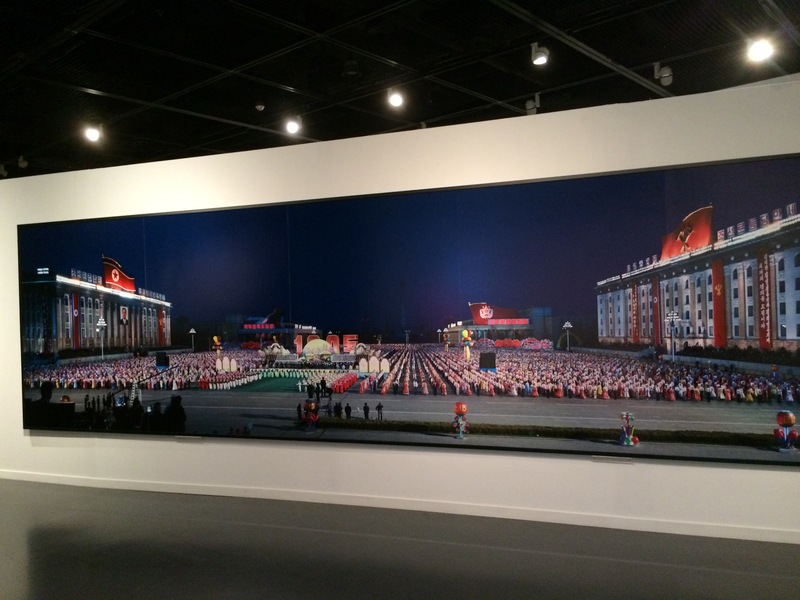 The work presented in the exhibition depicts the spectacle of Arirang Festival in a print spanning 7 meters 55 centimeter wide. 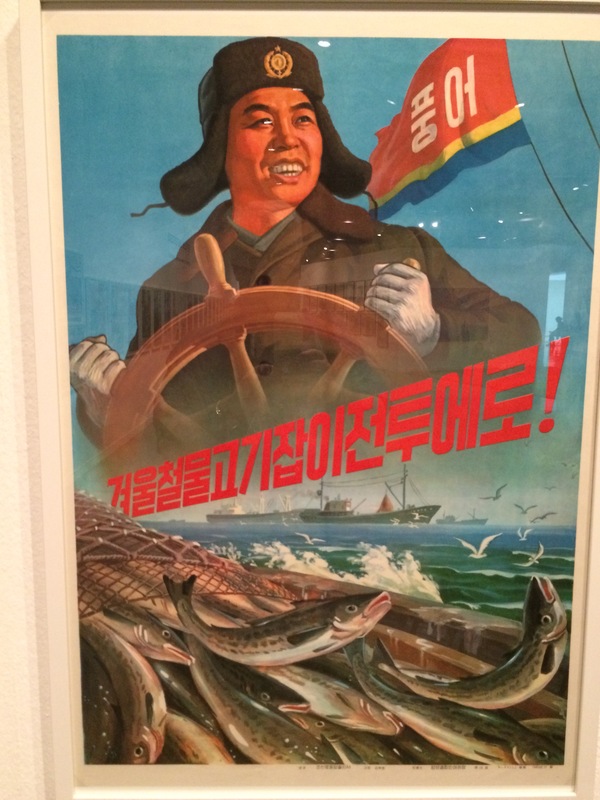 These images are so surprising for me, who has been used only to understand North Korea politically. What this exhibition demonstrates to me, is that life is much more similar to all of us, even if some live under extreme political regimes. 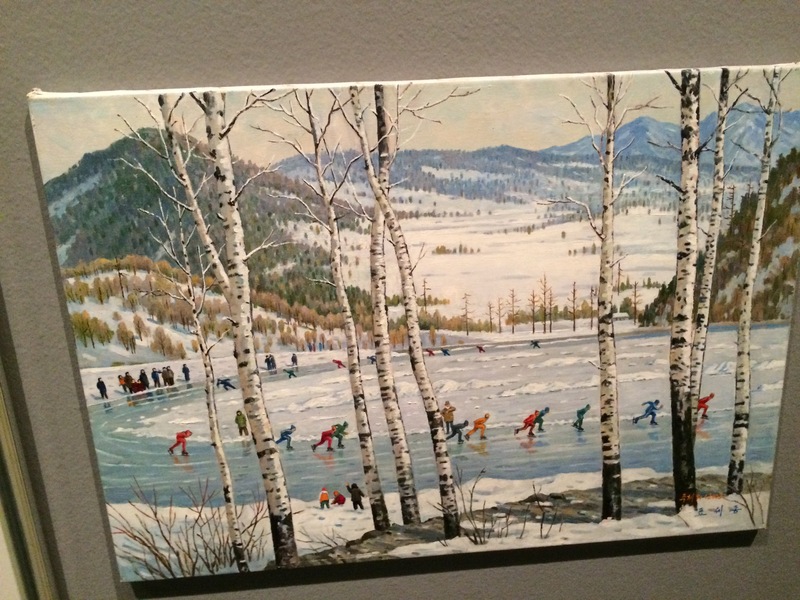 They go ice skating when the river is frozen and the weather is good. Just like we do at home in Norway! The conductor does not remind me of my new friend from Daegu, the Maestro Lee, but at the same time, take away the uniform and the medals, his passion for music is the same! Kerry Reilly ready to lead the Scottish YMCA, or Phyllis leading the Singapore Metropolitan YMCA? 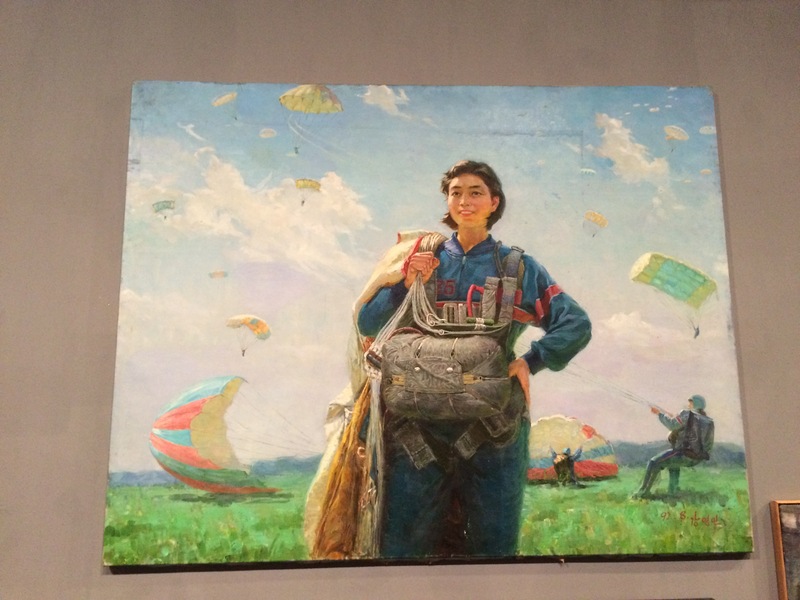 Or another lady leader of a work company in North Korea. This could have been an energetic group of young YMCA Change Agents. And this Alexei Kostyakov planning for the next strategic steps for the Russian YMCA? This is sooo Socialist Realist art, they love(d) the floating, melted iron going to be transformed into tanks, lorries and canons. This is a North Korean soldier during the Korean War 1950-53 preparing for “A Sudden Attack Situation”. And this is an angel coming down from above. 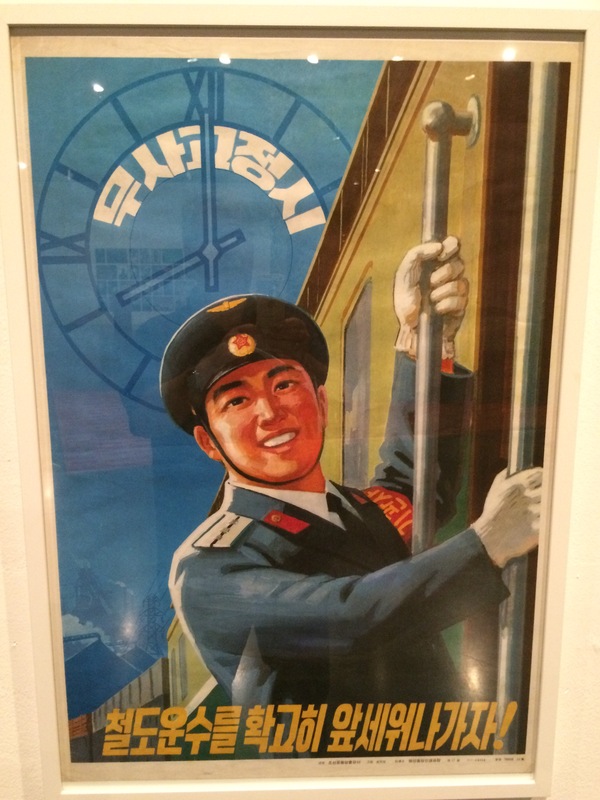 And now we transfer from Socialist Realisme art to real propaganda posters, intended to encourage and discipline and educate the population in Juche ideology, the ideology of Kim Il-sung. The message should not be difficult to understand. Dedication, strength, faith and commitment. Just get on board the train of Socialism! The barbed wire fence is a symbol of division of two Koreas. 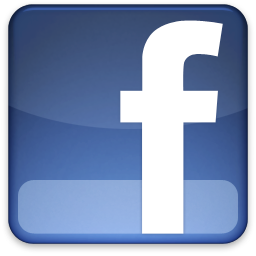 It is hard to imagine a different cause for this symbol, because not only does it symbolize the division, but also displays the tension ande confrontation between the two countries. 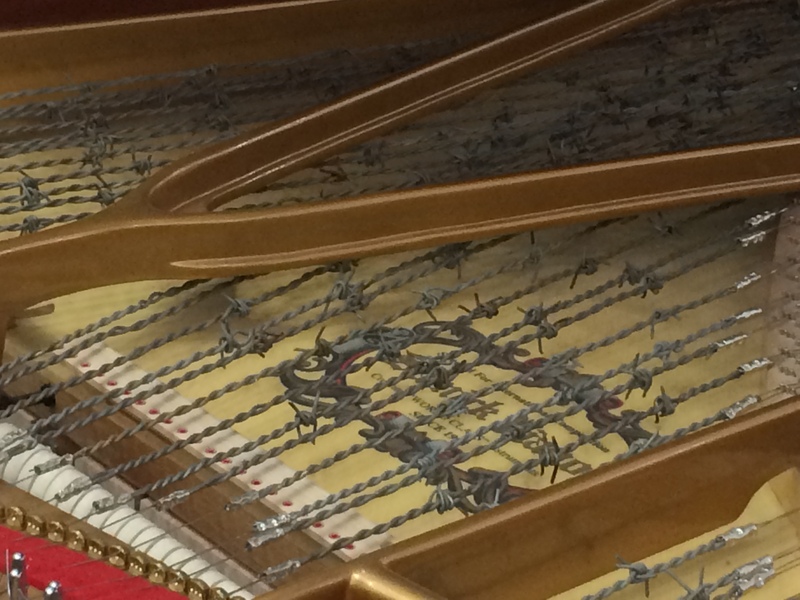 “Piano of Unification”, created by replacing the original strings with the customized barbed wires, has a multifaceted sound depending on who plays what. Though it looks like a piano, the melody it creates sounds rough and discorded metaphorically depicting the uncoordinated Koreas. The piano project has been proposed by Cheil Worldwide and realised in collaboration with Ministry of Unification and SeMA. 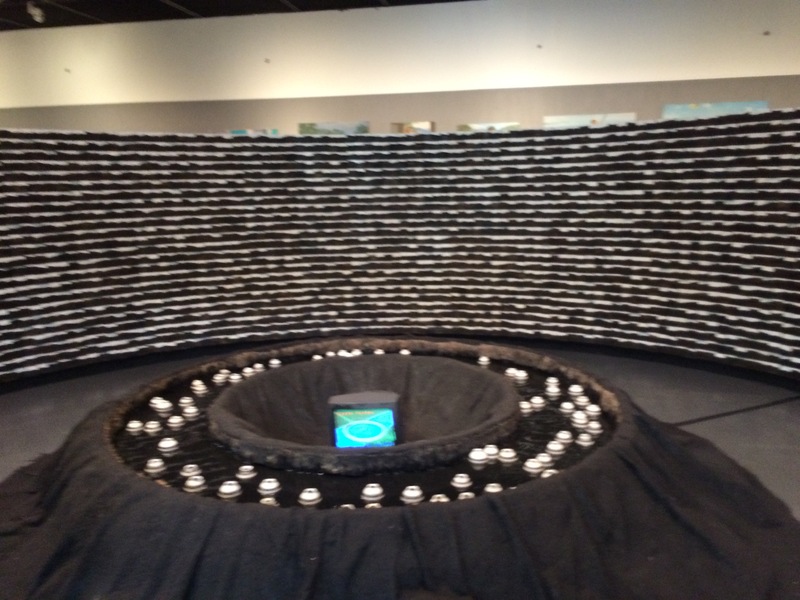 “Piano of Unification” is now displayed for the first time as part of SeMA’s “NK Project”. 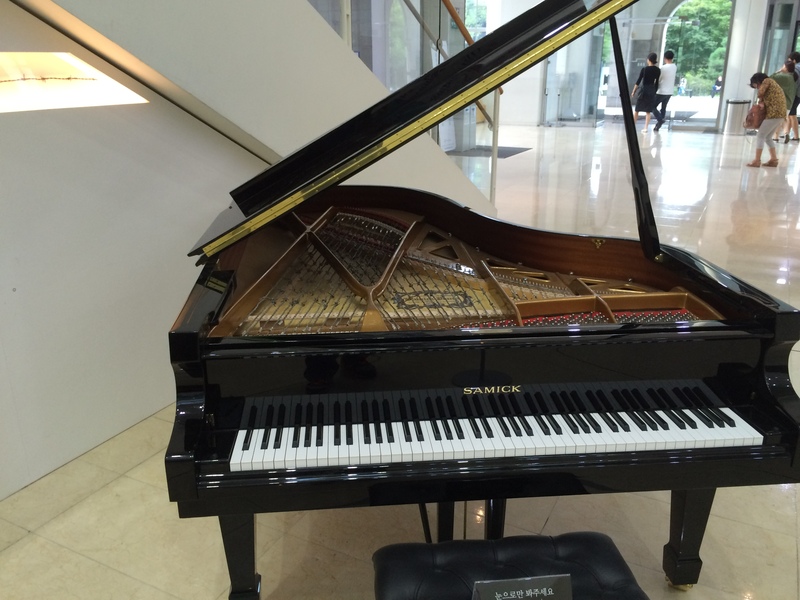 Development of the instrument was done by World Music Group “GongMyung” as Samick donated a piano. 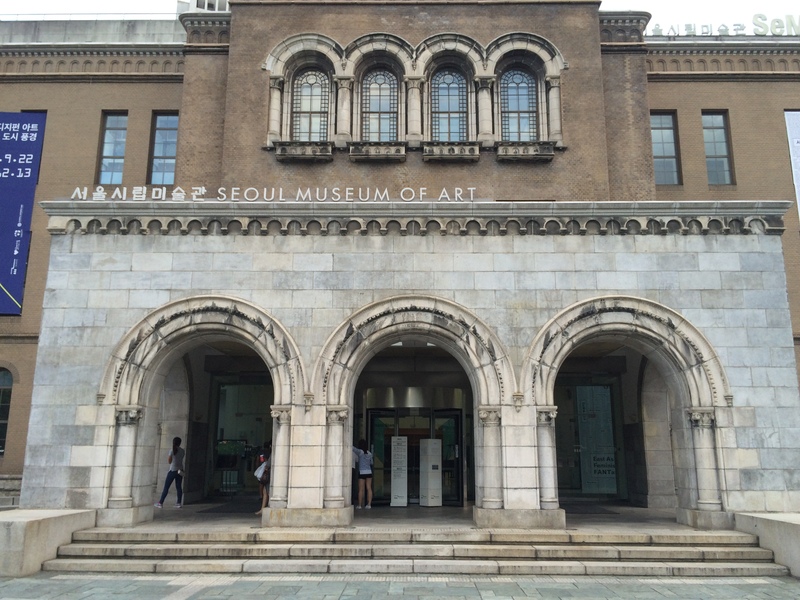 The Seoul Museum of Art, SeMA, well worth a visit when you come to Seoul. I love to go through these temples of modern art, it gives me energy and vitamins for my soul. 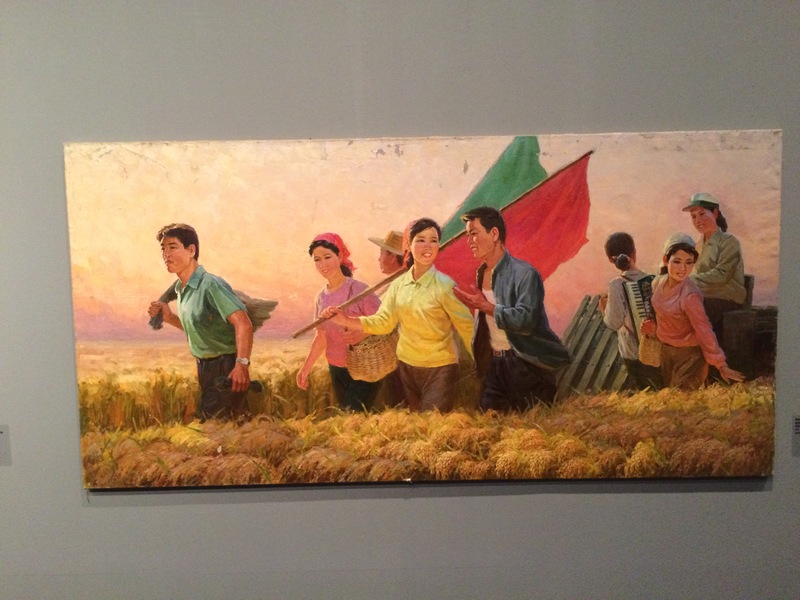 This exhibition was a commemoration of the 70 years since liberation from the Japanese occupation . Stunning work! ‘Piano of Unification’ is fantastic! 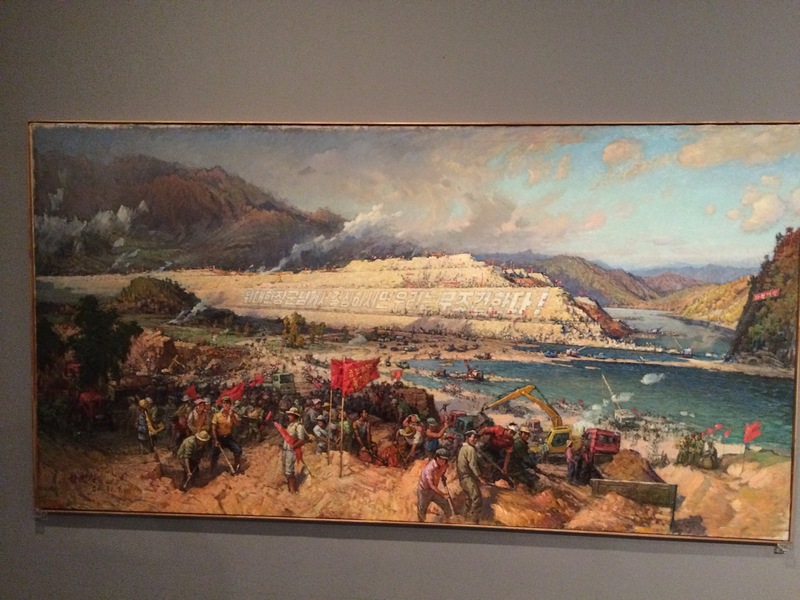 This was a unique opportunity to see the exciting work of contemporary Korean artists, and to learn more about their context. Thank you for posting this!